You are not logged in. 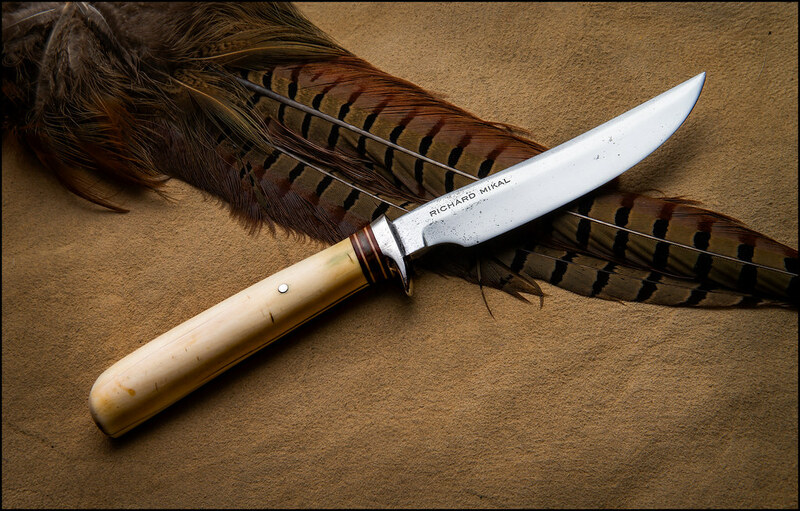 [Log In] Knifetalk Forums » Forums » Randall Knife Talk » Randall Made Knives » Knife Of The Week Model 7!!!!!!! I am an American born in the wrong country. This is a Model 7-5 that I got after clicking on the Miles Welze banner at the top. Just couldn't resist the old creamy ivory. 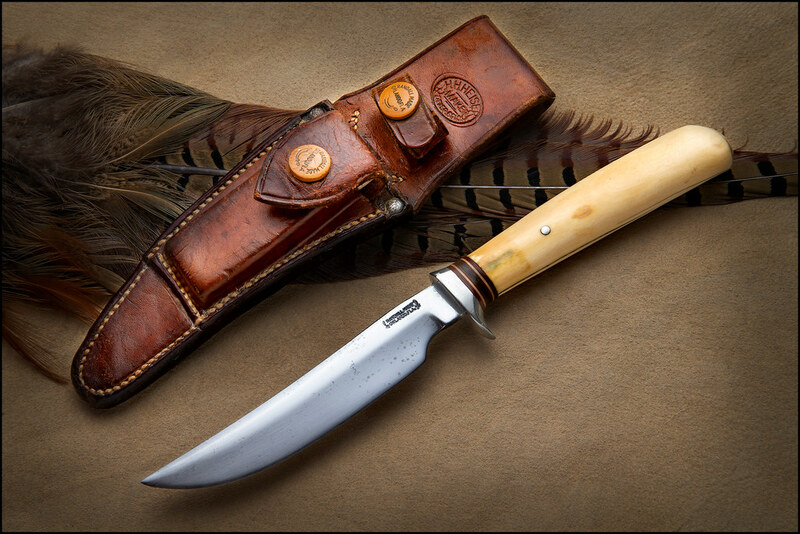 Model 7-5 with pinned ivory and nickel silver hilt. 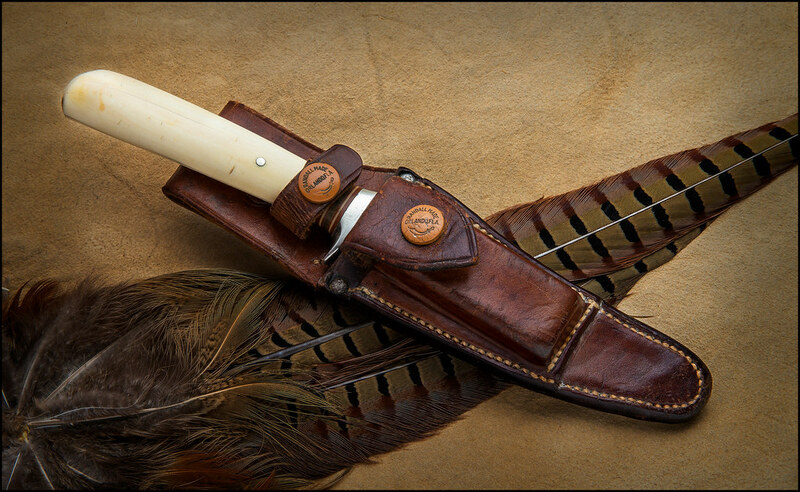 A bit of a double stamp on the riveted Heiser sheath, but still in fine shape for a 70+ year old sheath. 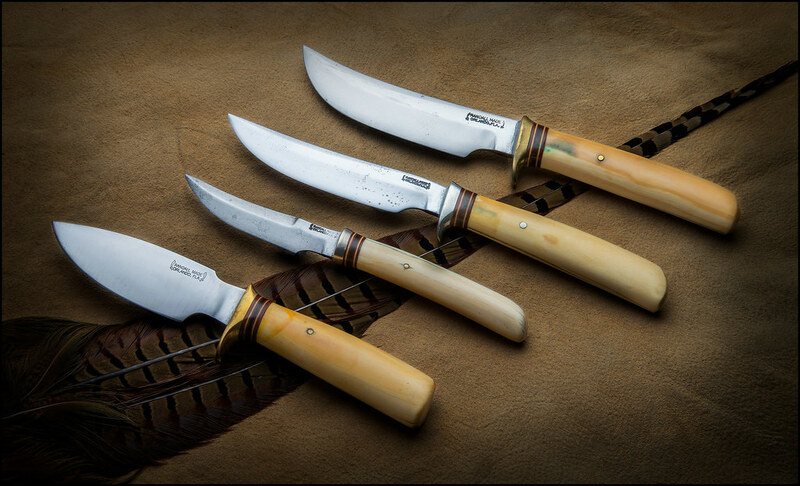 I also took a pic with a few other pinned ivory knives from the same time frame. That's a Great collection you have! Beautiful! If you put off following The LORD just remember......They don't serve breakfast in hell! Yup good ones for sure. The 11 is awesome. Those are indeed gorgeous knives Will!! 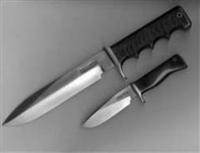 That old style 8-4 reminds of the Randall family steak knife set with the round hilts that I've drooled over a couple of times! HE IS RISEN!, HE IS RISEN INDEED! Generated in 0.024 seconds in which 0.011 seconds were spent on a total of 17 queries. Zlib compression enabled.